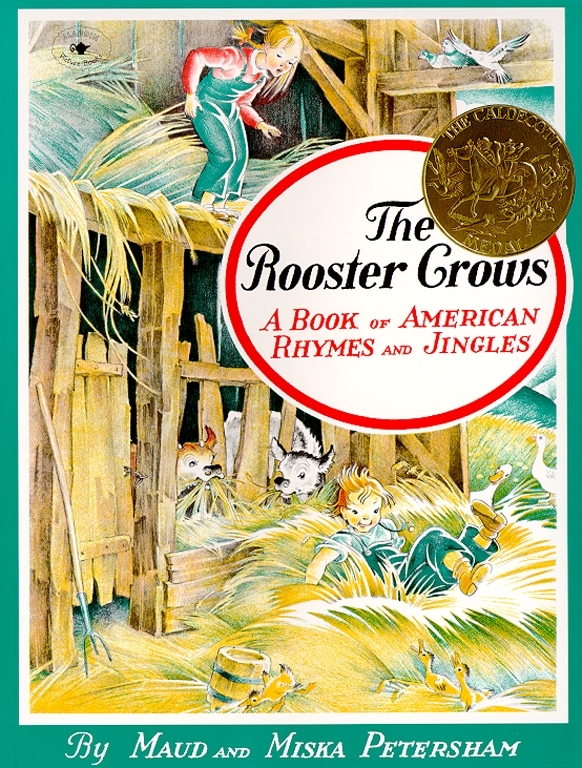 The Caldecott Medal–winning collection of classic American rhymes, songs, and jingles. Beautifully rendered illustrations accompany well-known nursery rhymes, counting-out games, skipping-rope songs, finger games, and other schoolyard classics beloved by generations of American children. Collected from across America, The Rooster Crows features rhymes both old and new, and will be a perfect addition to any child’s collection. Maud Petersham was an internationally renowned writer and artist who helped define the modern picture book. Born to a deep-rooted American family in 1890, Maud attended Vassar College in 1912 and later studied at the New York School of Fine and Applied Art. She and her husband Miska worked prolifically for over fifty years, illustrating more than 120 books. Born Petrezselyem Mihaly in Torokszentmiklos, Hungary, in 1888, Miska Petersham is an internationally renowned, Caldecott Medal–winning writer and artist who helped define the modern picture book. Educated at the Royal National School of Applied Artist in Budapest, he arrived in New York through Ellis Island in 1912. He and his wife Maud worked prolifically for over fifty years, illustrating more than 120 picture books.